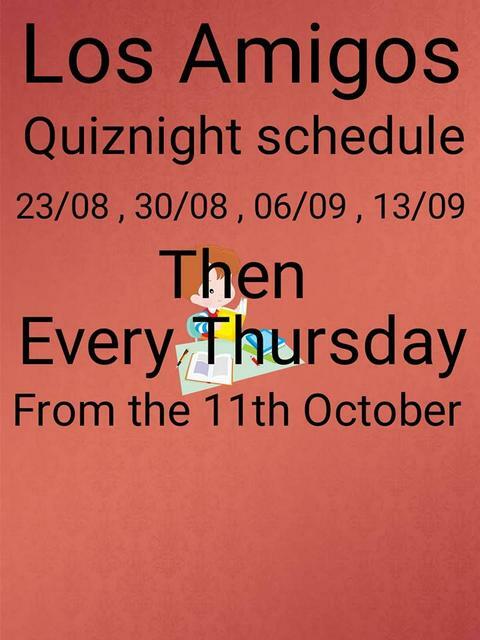 Thursday 6th September Quiz night at The Brick House soi Sampan to continue on the 1st Thursday of the month arrive 2045 for quiz to start 2100 Quiz to cover a broad range of subjects a light supper will be provided for quiz participants all welcome please come along and enjoy the fun. Woohoo, quiz wars. Makes a changes from who's got the best sausages & pies There could be trouble ahead who's starter for 10 points. 2. Into the quiz. There will be a small cash prize to winning team on the night. 3. A Lucky Draw Ticket which gets ticket holder into Roll Over Competition at end of night. Pot starts at Bt1,500.00. If your number is drawn you get a chance to answer a question and win the pot. I have written the first quiz ..... so you know it is not going to be rocket science! Bit of fun for charity and we hope we can repeat every first Thursday of the month. Last edited by Bouph on November 7, 2018, 12:09 am, edited 1 time in total.